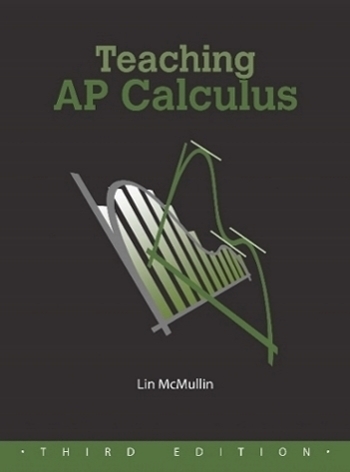 The next few posts will discuss a way to introduce Taylor and Maclaurin series to students. We will kind of sneak up on the idea without mentioning where we are going or using any special terms. In this post we will find a way of approximation a function with a polynomial of any degree we choose. In the next post we will look at the graph of these polynomials and finally suggest some questions for further thought. For the function at the point (1, 0) ask your students to write the tangent line approximation: .Point out that this line has the same value as ln(x) and its derivative as at (1, 0). Then suggest that maybe having a polynomial that has the same value, first derivative and second derivative might be a better approximation. Suggest they start with and see if they can find values of a, b and c that will make this happen. Then have the class repeat all this for a new function such as at the point (0, 0). This could be assigned as homework or group work. Ask them to do enough terms until they see the pattern. There will be patterns similar to ln(x ) and every other term (the even powers) will have a coefficient of zero. How good is this approximation? Using only the first three terms of the polynomial above you will tell you that. Pretty close: correct to 5 decimal places. Using four terms gives correct to 7 decimal places when rounded. The computations here are perhaps a little different than what students have seen, so take your time doing this. Two or even three class days may be necessary. The first two terms are the tangent line approximation. The various derivatives are numbers that must be calculated. All the terms of any degree are the same as the terms of the previous degree with one additional term. Next post in this series: Looking at all this graphically. Taught AB for years, but this is my first go with BC. Anxious for series as I remember this being where the wheels fell off for me as a student. I’m been hammering tangent lines this year, and we recently did Euler’s Method where we adapted the typical point-slope format for y=y_1 + m(x-x_1). Think with that launching point, this structure will be well worth my time to use in class. Appreciate the ideas. Thanks for this post. Just about ready to dive into this with my BC gang this week and this will help me unpack this all.